Now, reward your customers for their purchases through reward points they earned which they can easily redeem on their next actions/purchases. 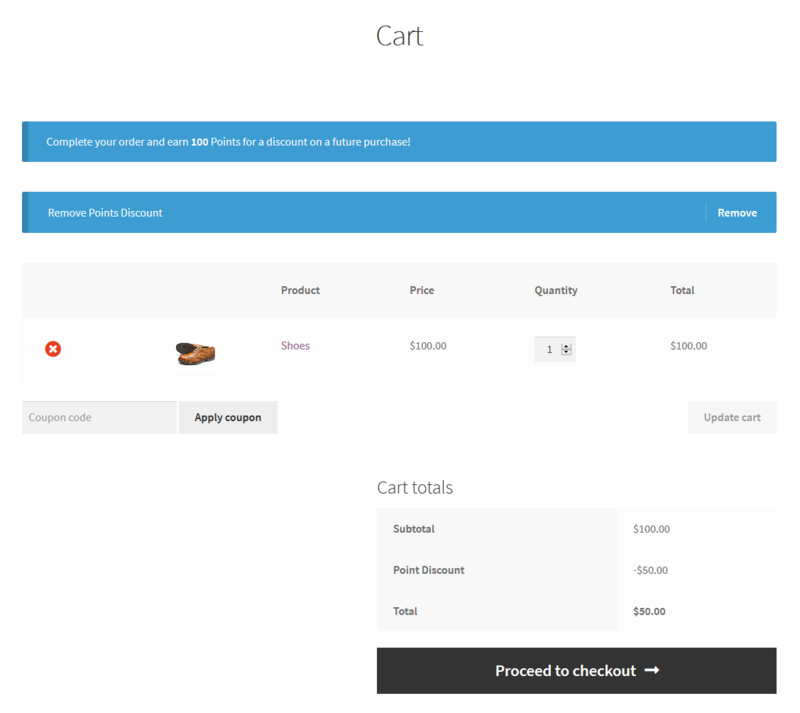 Using our WooCommerce Points and Rewards extension you can set how many reward points you want to set for a specific amount of purchases. 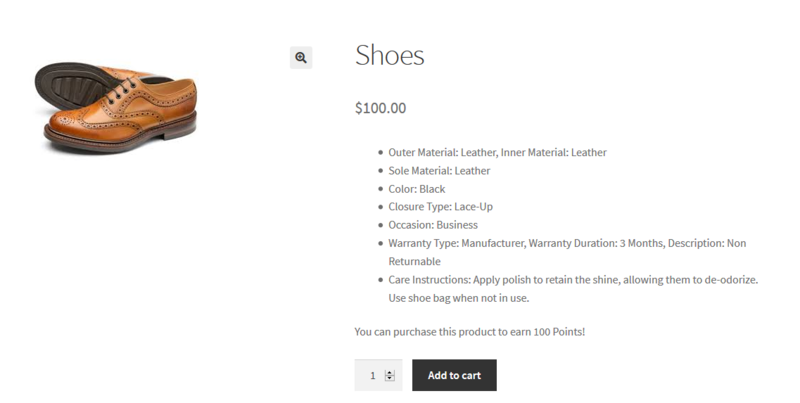 You can set this threshold reward point per purchase as per your convenience i.e. for per product, category or globally. 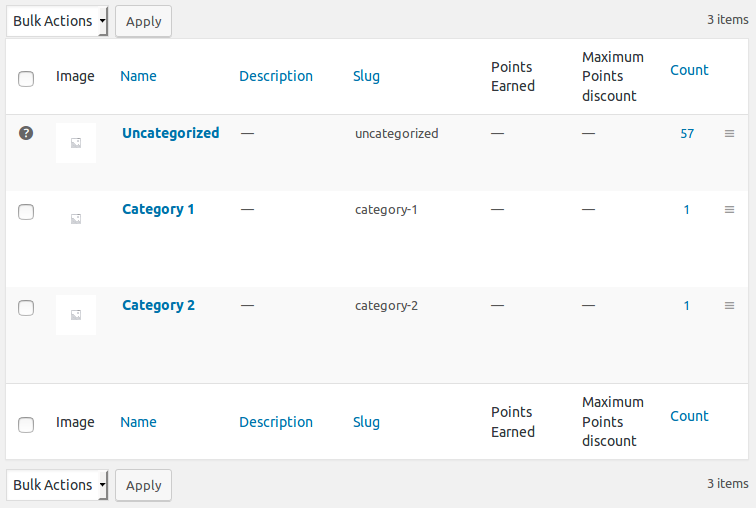 It gives you a control over the reward point/loyalty point management using WooCommerce Points and Rewards plugin. You can also set what each point will worth. For instance, you may set one point equivalent to 1$ or 100 points could be equal to 1$, or any other value you wish to set. This way your customers can earn their reward points over time and can decide when and how they want to redeem their reward point for a discount. You can also adjust your customers’ point balances manually. 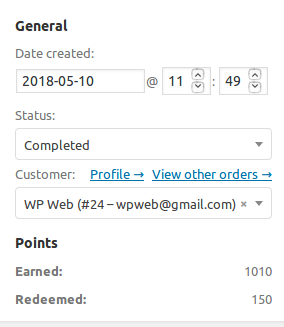 WooCommerce Points and Rewards plugin is a great way to develop your store credit amongst your customers. It’s time to reward your customers for giving feedback in your support forums or for detecting a bug! 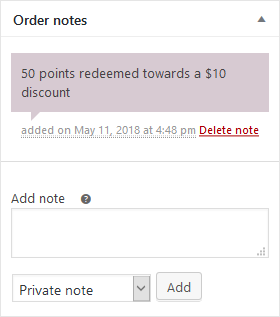 Just give away some points that they can redeem when they buy next..
* [+] New: Added feature of Minimum Points Required for getting discount. 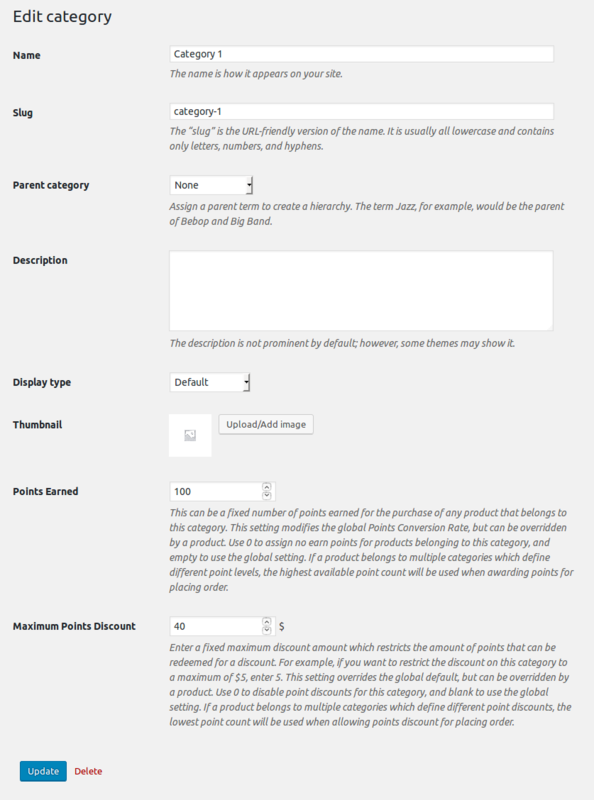 * [+] New: Added compatibility with Aelia Currency Switcher for WooCommerce plugin. 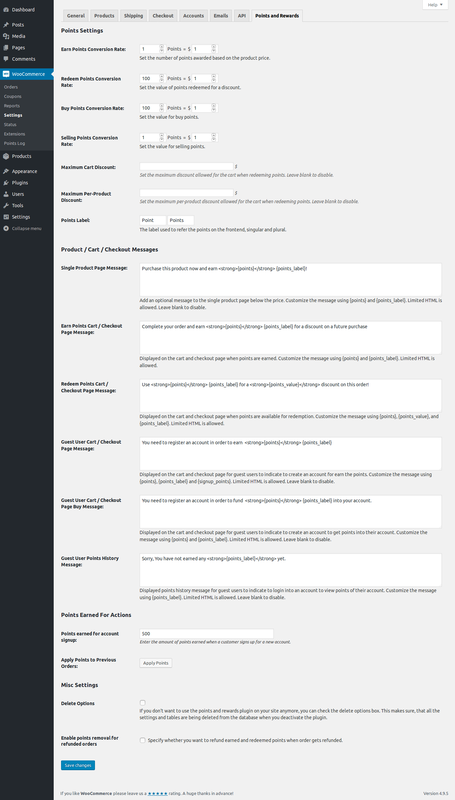 * [+] New: Added compatibility with oceanwp theme. 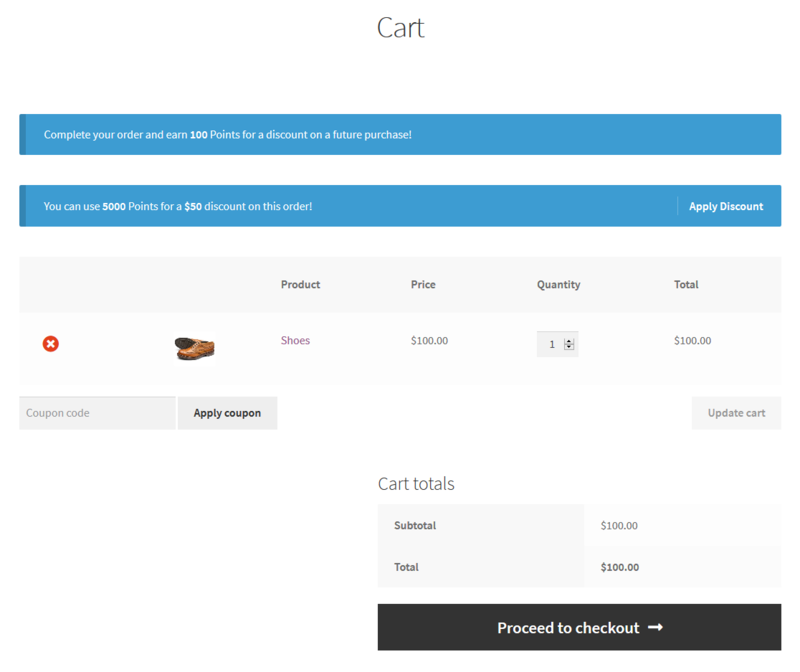 * [+] New: Added a setting to get points based on product price only or product price + tax.